Our relationship with Siamese Cats started at Malcolm and Gina’s wedding reception in 1960 when Malcolm gave his new wife a Seal Point Siamese kitten as a wedding gift. The kitten was taken on honeymoon with them and from then on their love of Siamese was sealed. From our experience we advise that you should consider taking on your first Siamese kitten very carefully, as one has a habit of leading to another. Also, be prepared to change your routines, as most Siamese assume it is their right to take over the whole household—dogs, children and other family members included and from the moment you get your Siamese kitten home life will never be the same again! From that day you will hopefully never be short of entertainment from your feline supervisor, comedian and true companion. We couldn’t imagine being without our feline family members, and suspect that the secret to a great marriage is at least partly down to having at least one Siamese in your home! We sometimes have kittens available to loving family homes, and our studs are available at stud to tested queens. 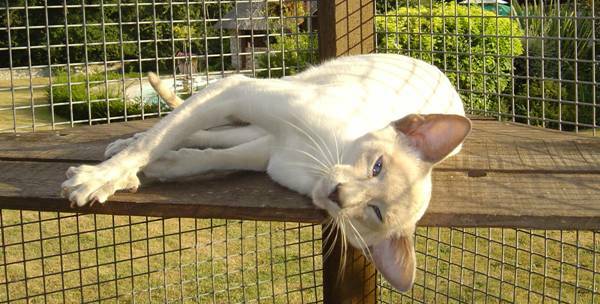 Please have a look at some of our Siamese family members on the other pages, and see our contacts page if you would like to get in touch.